Isabelle Huppert stars in Michael Haneke’s latest excursion to the dark side. You might characterize the cinema of Michael Haneke as an acquired taste. The international filmmaker's relentlessly misanthropic scenarios definitely aren't for everyone. A reasonable critical argument can be made in favor of his most resonant films — The Piano Teacher, The White Ribbon — but there's no denying that enduring his worldview can feel like a long slog through hostile territory, with precious little reward at the end, aside from the satisfaction of having persevered. Anyone who has sat through the bitter, pitiless Amour (2012) can probably relate. Which brings us to Haneke's latest, Happy End. The Laurent family of Calais, France, have a successful business of real estate development, but it's set against the background of the nearby "jungle," where thousands of desperate migrants camp out in the vain hope of reaching the U.K. That context takes on a variety of meanings in the minds of the patriarch, Georges (Jean-Louis Trintignant), his ambitious daughter Anne (Isabelle Huppert), and Anne's estranged adolescent niece, Eve (Fantine Harduin), who has arrived to spend some time with the family. The common denominators are gloom and hopelessness. If I were to tell you — spoiler alert! 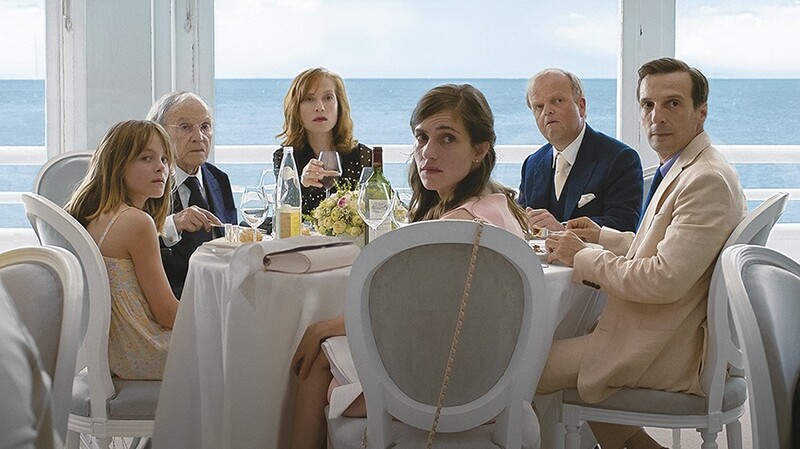 — that the logical denouement of this saga of an unhappy family is the spectacle of a sick old man deliberately sinking into the sea in his wheelchair, longtime Haneke watchers would hardly bat an eye. Another day at the office. Haneke veterans Huppert and Trintignant handle their roles with skill. The filmmaker filigrees his point of view into every crack and crevice. It's an accomplished piece of work. But it left me sick at heart, with a feeling of emptiness, and I wanted nothing more to do with it. Happy End Written and directed by Michel Haneke. With Isabelle Huppert and Jean-Louis Trintignant. Opens Friday.